Well, as we tend to say each year, it’s certainly come round fast again! But jokes aside, Christmas is undeniably one of the most exciting holidays. Not only do you get to feast on chocolates, cakes and lots of other unhealthy grub until your heart’s content, it’s also a great excuse to spend time with those that you might not see too often. 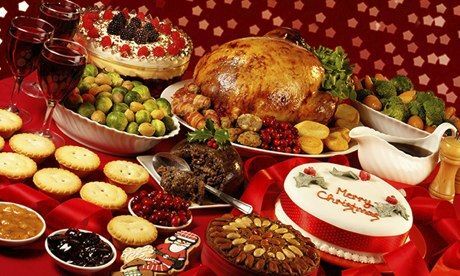 However, one of the best parts of the festive season has to be the good old British Christmas Dinner. It might take days to prepare, but it’s worth every last bit of effort. A large plate full of carrots, sprouts, cauliflower cheese, pigs in blankets, stuffing and a few slices of turkey with lashings of cranberry sauce, is not to be sniffed at. And don’t forget the three or four different types of potatoes on offer too. Merry Christmas from all of us here at English Matters!